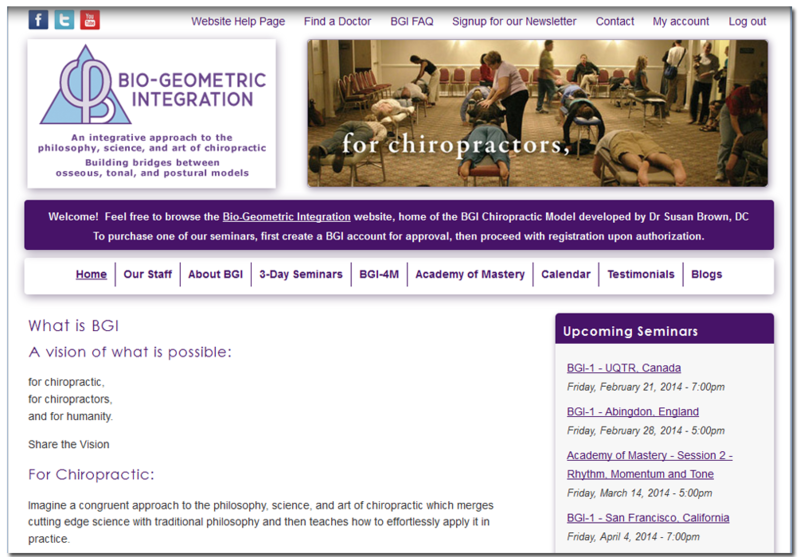 A site built for a company that does seminars in the Chiropractic field. This is a very deep site. Check out the Find a Doctor page. It pulls information from the list of users that have taken the required courses to be listed as a BGI doctor. The pricing on the site is based on the type of customer: Student, First Year Doctor, Doctor, Staff, etc. All based on the user's login. The "Our Staff" page is also populated by the user information. The Calendar is automatically populated whenever a new seminar is entered into the system, along with all of the correct seminar pages. Again, a very deep and complex site.